Traditional Greek pita is what you need for making a traditional Greek pita gyros! Whole wheat pita also available for those who want to be careful with what they eat, but without missing out the small culinary delights like souvlaki. 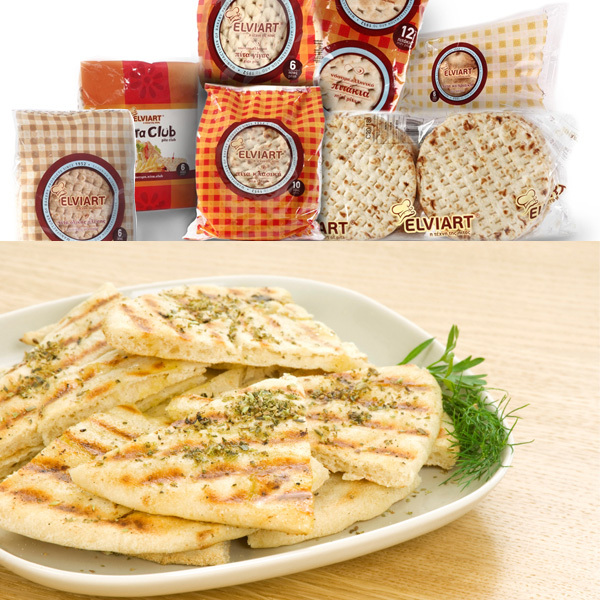 ELVIART SA specializes in souvlaki pita bread production and has a dynamic presence in this sector since 1952. Back then Georgios Kaloidas started the business with a small workshop and it developed it to one of the biggest companies of the industry, having nowadays a fully automated production plant in Aspropirgos, Attica. ELVIART aims to stay at the top of the sector by providing to consumers the tastiest pita bread. For 60 years the company has achieved being number one through continuous effort for improvement, investments in state of the art equipment and knowhow and mainly the “mojo” in the quest of making the perfect pita.